Derek Alderson is an emeritus Professor of Surgery at the University of Birmingham. He was Professor of Surgery at the University of Bristol from 1997-2005 before becoming the Barling Professor of Surgery and Head of Department in Birmingham, a post he held until October 2015. A former President of the Association of Upper Gastrointestinal Surgeons of Great Britain and Ireland, his main clinical interest is in oesophago-gastric cancer surgery. He has a long association with the British Journal of Surgery. He was Editor in Chief from 2010 to 2016 and is now the Editor in Chief of BJS Open. In 2017 he was elected President of the Royal College of Surgeons of England. Sue Hill was born in London. She undertook medical training in Pembroke College Oxford and Westminster Hospital Medical School, qualifying in 1985. She undertook her surgical training in South West Thames and received her MS from London University in 1994. She was appointed Consultant Vascular Surgeon to Lewisham University Hospital in 1998. She moved to south Wales in 2003 when she was appointed Consultant Vascular Surgeon at University Hospital Wales in Cardiff. Her surgical interests include soft tissue sarcoma and she is part of the Welsh Soft Tissue Sarcoma Implementation Group. During her career she has been Clinical Director, Vascular Advisor for Wales, Chairman of the National Statutory Advisory Group to the Welsh Assembly, Training Programme Director and Chairman of the Welsh Board of the Royal College of Surgeons. She was appointed to Council in 2012. Neil Mortensen is Professor of Colorectal Surgery in the University of Oxford Medical School and has been on the staff of the Oxford University Hospitals since 1987. He is Fellow of Green Templeton College. He trained in Birmingham, Bristol and St Mark’s Hospital and has clinical and research interests in a wide range of colorectal diseases. He has published over 300 original papers, 30 book chapters and has edited 8 books. He is Past Chair of the British Journal of Surgery Society, President of the Ileostomy Association, and has been Past President of the Association of Coloproctology GBI and the Coloproctology Section of the Royal Society of Medicine. He is Editor in Chief of the journal Colorectal Disease. He has given a number of named lectures including Arris and Gale, Goligher, Sir Alan Parks, Honeyman-Gillespie and Bryan Brooke (UK); Duran Smith, Harry Bacon, Charles Buie, Greenstein and Frykman-Goldberg (USA); Edward Wilson Memorial and CSSANZ Oration (Australia), Gimbernat prize (Spain); Fritz de Quervain (Swiss), Gerhard Buess Memorial Lecture (Norway). Since his appointment in Oxford he campaigned for the recognition of colorectal surgery as a specialty and created the present department. He founded the first patient association for those with ileoanal pouches the Kangaroo Club, and in 2004 the charity OCCTOPUS – Oxford Colon Cancer Trust which supports education, research and new technology in colorectal diseases. He became a member of the Council of the Royal College of Surgeons of England in 2013. Cliff Shearman is Emeritus Professor of Vascular Surgery at the University of Southampton and a Non-Executive Director on the Trust Board at the Royal Bournemouth and Christchurch NHS Foundation Trust. After postgraduate training in Birmingham he was appointed as a senior lecturer at the Queen Elizabeth Hospital in 1990 before moving to Southampton in 1994. Cliff Shearman has had a number of roles in training and was the Head of the Wessex Postgraduate School of Surgery (1997-2012) and established the new Vascular SAC (2012-2015) which rolled out the new Vascular Training Programme in the UK. He has served on the Vascular Society Council as Chair of the Training and Education Committee and President (2009-10). Cliff Shearman’s research interests are factors that cause and promote the development and progression of atherosclerosis particularly in people with diabetes. He is Associate Medical Director in Southampton with responsibility for Research and Development. In 2015 he was selected to represent the Vascular Society on the Royal College of Surgeons of England Council. Michael Escudier is Reader in Oral Medicine and Director of Assessment at King’s College London Dental Institute and Honorary Consultant in Oral Medicine at Guy’s and St Thomas’ NHS Foundation Trust. Having qualified in dentistry from Guy’s Hospital in 1985 and in medicine from St Bartholomew’s Hospital in 1992 he returned to Guy’s in 1994 and obtained his Fellowship in 1998. On completion of higher training he was appointed honorary consultant in oral medicine in 2003, clinical lead and academic head in 2010. He has extensive experience in teaching within both the undergraduate and postgraduate sector. He is a Fellow of the Higher Education Academy and has received a King’s College Teaching Fellowship (2012) and a Mature Educator Award (2012) from the Association of Dental Educators of Europe. He specialises in teaching the medical related areas of dentistry and also has a particular interest in assessment practice. He Chaired the MJDF examination from 2010-13. His main research foci are salivary gland disease, in which he completed an MD on the minimally invasive management of calculi, and orofacial granulomatosis. He was elected to the Faculty Board in 2011, and is currently Senior Vice-Dean of the Faculty and Chair of the Examinations Committee. Martin Bircher is in full time clinical practice working at St. George’s hospital and in private he continues to be involved in clinical research and writes reports for personal injury and medico-negligence claims. His three major roles at St. George’s are the management of pelvic trauma, teaching and mentoring. After a surge of new consultant appointments in recent years, Martin provides support and advice as new surgeons settle into their positions at the trust. He is on the management and editorial boards of the Bone and Joint Journal, St. George’s premier orthopaedic publication and the editorial boards of Injury and the European Journal of Trauma. He also lectures across the world on the management of pelvic injury and on trauma care organisation and delivery. He is the lead at the college on trauma and emergency surgery and is presently working on defining the role of those doctors who will be necessary to provide early emergency surgery to patients arriving at our major trauma centres. His most recent allocation of committee responsibilities include the patient’s safety network, opportunities in surgery, the Q&A committee, the national fellowship scheme, the annals and the clinical excellence committee. Martin is married with 3 boys. One is a trainee obstetrician .The second an academic doctor and the youngest a medical student. They ensure that he remains in touch with the changes in the delivery of healthcare. Ian Eardley studied medicine at Sidney Sussex College, Cambridge and at Addenbrooke’s Hospital, Cambridge. He undertook urological training in St Bartholomew’s Hospital, Portsmouth, Cambridge and Norwich. He was appointed to the post of Consultant Urologist at Leeds General Infirmary in 1993 where he specialises in the areas of male sexual dysfunction, penile cancer and genitourinary reconstruction. In 2014 he was awarded the St Peter’s medal by the British Association of Urological surgeons for his contributions to the advancement of Urology. He has written or co-authored seven urological textbooks and published over 200 chapters and scientific papers. He has served as Director of the Office of Education for the British Association of Urologists, Chairman of the Specialty Advisory Committee in Urology and Chair of the Joint Committee for Surgical Training. He was President of the European Society for Sexual Medicine between 2007 and 2010 and is an Associate Editor of the Journal of Sexual Medicine. He is a Council member of the Medical Protection Society and he was elected to the Council of the Royal College of Surgeons in 2010. He became Vice President of the College in July 2015. Peter Lamont trained as Senior Registrar at the Westminster Hospital and was appointed Clinical Reader in Surgery, Fellow of Green College and Honorary Consultant Surgeon at the John Radcliffe Hospital in Oxford from 1989. He took up his current post as Consultant Vascular Surgeon at Bristol Royal Infirmary in 1992. Research and published work includes non-invasive arterial investigations, stroke prevention and exercise therapy for intermittent claudication. He has given numerous invited lectures on vascular surgery and surgical training both in the UK and internationally. Chairman of the SAC in General Surgery 2007–2010 and President of the Vascular Society 2010–2011, he is an honorary Fellow of the European Board of Vascular Surgery, Chairman of the CME Committee of the UEMS Section of Vascular Surgery and a member of the International Advisory Board of Vascular International, a charity devoted to surgical simulator training. He was a key player in the introduction of national ST3 selection for general surgery and the designation of vascular surgery as a separate specialty in the UK. He was elected to Council in 2010, where as Chairman of the Quality Assurance and Accreditation Committee he greatly expanded the role and functions of the College in setting standards for surgical courses, training centres, University degrees and Fellowships. He also represents the College on the Intercollegiate Specialty Examinations Board in General Surgery and is one of two Council Leads for the South of England. He now chairs the Invited Review Mechanism. Qualified in 1989, Scarlett McNally trained under the old system, becoming an Orthopaedic Consultant at Eastbourne in 2002, specialising in hand surgery and initially also in Trauma. She was elected to Council in 2011, the ninth woman ever and the youngest at the time. She was Director of Medical Education for East Sussex Healthcare NHS Trust from 2008 to 2011 and was previously on the BMA Equality & Diversity committee and other committees. She completed an MA in Education in 2008 and an MBA in health management in 2013. Scarlett is passionate about supporting people and services to be the best that they can be, which often needs education, communication and pathways that respect each team-member's skills. Surgical thinking gives clarity and simplicity to decision-making. Scarlett McNally feels that the surgical profession and training should acknowledge that the years of child-rearing coincide with surgical training and that if we want the best quality surgical care, everyone within surgery needs high quality education and support. She has led Opportunities in Surgery and the College SAS committee (for Staff Grade, Associate Specialist and Specialty Doctors in surgery). She has also provided surgical input to the Academy Health Inequalities Forum and is lead author of "Exercise: the miracle cure". Professor Paul O’Flynn FRCS, is a Consultant ENT/Head and Neck Surgeon at London’s University College Hospital. After qualifying in medicine 1982 from University College London he trained in Otolaryngology, becoming a Consultant Surgeon and Honorary Senior Lecturer at The Royal National Throat, Nose and Ear Hospital in 1993. In 2005 he joined the staff of University College Hospital becoming ENT Head and Neck lead and subsequently Chair of the Head and Neck Tumour Board for North Central London Cancer Network. A former Chair of Education and Training at ENT-UK, and the first ENT Tutor in the Raven department of Education of The Royal College of Surgeons of England. He is a Visiting Professor at the Deenanath Mangeshkar Hospital and Research Centre, Pune, India and has published more than 50 papers. He is President elect of the Section of Laryngology and Rhinology at The Royal Society of Medicine. In 2012 he was elected to the Council of the Royal College of Surgeons of England. In his spare time he is a keen tennis player. Peter Kay was born in Ruthin North Wales in 1958, and educated at Lancaster Grammar School and Dr Challoners Grammar School Amersham. He has degrees in medicine from Manchester University (1981) and Mathematics Open University (1985). He gained his surgical training in North West England, including fellowships in joint replacement at Stuttgart and Wrightington, and was awarded European (1992) and American, British and Canadian travelling fellowships (1998). He was previous President of British Orthopaedic Trainees association (1992), British Hip Society (2007) and President of the British Orthopaedic Association (2011). Clinically, he specialises in hip and knee surgery at Wrightington Hospital Lancashire and is Honorary Clinical Professor at Manchester University. He politically chaired the 18-week MSK group at the DH for 4 years, and sat on the National Boards for Enhanced recovery, Patient Reported Outcomes Measures, Fragility Fractures and Shared Decision Making. He was appointed as National Clinical Director for Musculoskeletal Services in March 2013. He currently sits on the National Nice Guideline Development Group for Osteoarthritis and leads work with MHRA in the introduction of new implants “beyond compliance”. He has previously been Clinical Director, Divisional Chairman and Associate Medical Director and Trust board member of Wrightington Wigan and Leigh NHS Trust. His personal aim is to achieve more effective representation for the surgical patient and UK surgery. Richard Kerr qualified from The London Hospital, and trained in surgery and neurosurgery in London, Northampton, Oxford and Melbourne. Based at the John Radcliffe Hospital in Oxford, he has been consultant for 24 years. With a wide cranial and spinal practice, he has subspecialty interests in skull base tumours, oncology and vascular disease. He devised and runs the Oxford Skull Base Practice and is a member of the NFII clinic, a nationally co-ordinated regional service. Research has led to publication of over 40 peer reviewed articles and 15 book chapters. He was Co-Principal Investigator in the MRC funded International Subarachnoid Aneurysm Trial (ISAT). The publication of this trial has led to a global change in the management of aneurysmal subarachnoid haemorrhage, with invitations to speak to learned societies from all over the world. Active in management, and a recently trained civil and commercial mediator, he has been Lead Clinician of the Neurosurgical Department, Clinical Centre Chairman of the Radcliffe Infirmary and Chairman of the Relocation Steering Committee of Services to the John Radcliffe Hospital. Elected to the Council of the Society of British Neurological Surgeons (SBNS) in 2003, he was appointed Treasurer of the SBNS in 2010 and Member of the Neurosurgical SAC in 2011. He is President-Elect of the SBNS, taking up office of President of the SBNS from September 2014. With interests in co-operation between the specialist surgical associations, audit and surgical outcome data, he was elected to council of The Royal College of Surgeons of England in 2013. Professor Briggs is Consultant Orthopaedic Surgeon at the Royal National Orthopaedic Hospital Trust and was Medical Director until May 2012, achieving a new build which has just started. He qualified in 1982 obtaining Honours in Surgery and a number of prizes. He was appointed at the RNOH as a Consultant in 1992. He is on the Editorial Board of the Bone and Joint Journal, and Journal of Arthroplasty. His special interests are reconstruction of the lower limb, as well as sports injuries of the knee and orthopaedic oncology. He has a special interest in autologous chondrocyte transplantation around the knee and is one of the clinical leaders in this field in the UK. He has an interest in sports injuries, and was previously one of the surgeons for the Arsenal men’s and Arsenal lady’s football clubs. He has a strong academic interest and publishes widely. He has recently been appointed Vice-President of the British Orthopaedic Association and will be President for the year 2013-2014. He is also Chairman of the Federation of Specialist Hospitals and Chairman of the National Clinical Reference Group for Specialist Orthopaedics. He is also author of Getting it right first time – a report on improving orthopaedic care in the NHS in England, which has recently been published and endorsed by the government and NHS England. Over the next 12 months he will be visiting all 145 Orthopaedic Trusts in England to improve outcomes and maintain quality of care for patients. John Abercrombie was born in St Bartholomew’s Hospital and subsequently qualified from that institution in 1985. He was awarded FRCS in 1989. He has been a Consultant Colorectal Surgeon at Queen’s Medical Centre, Nottingham since 1998. His areas of specialist practice are in bowel cancer screening colonoscopy, inflammatory bowel disease, abdominal wall reconstruction and the surgery of intestinal failure. He was Core Training Programme Director and then Head of the School of Surgery in the East Midlands (North). He has provided specialist advice to the NHS ombudsman and to the coroner’s court. He currently sits on the CRG for specialised colorectal services and was elected to the College Council in 2013. Tim Terry is a consultant reconstructive urologist at Leicester General Hospital. He qualified at King’s College and St George’s Hospital in 1975 and did his general surgical training in Southampton and London. He obtained his Fellowship in 1980 and a MS University London in 1987. He then trained in urology at Leeds University Hospitals before being appointed to Leicester University Hospitals in 1990. He specialises in prosthetic andrology and female urology and is a co-director of BAGURS. He is a past BAUS Secretary and Chairman BAUS andrology. He has a major interest in education, holding a PG Dip Med Ed from Dundee and was an Associate Postgraduate Dean EMLETB and currently is the SAC Chair Urology UK & Ireland . He is an Egan trained mentor and performance coach and was appointed as a Visiting Professor to Nottingham Trent University in 2014. 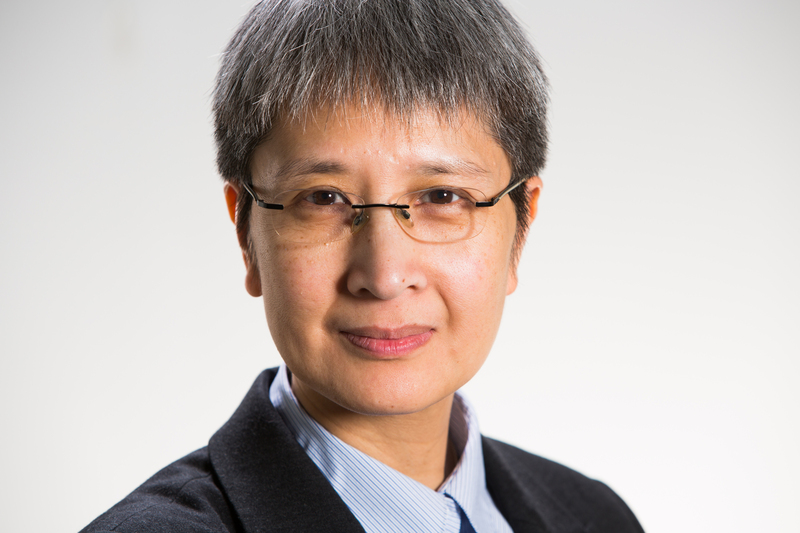 Consultant Plastic Surgeon Professor Vivien Lees was elected to College Council in 2014. She is Professor of Plastic Surgery at Wythenshawe Hospital, Manchester where she is specialty lead and has clinical interests in hand surgery including wrist, rheumatoid and children’s hand disorders. Her principal scientific interests are in functional anatomy of the distal radioulnar joint and forearm biomechanics. She gave the Hunterian Oration at the College in 2010 on this work. She is past Editor of the European Journal of Hand Surgery. Professor Lees was an undergraduate in Oxford and undertook clinical studies in Cambridge qualifying in 1985. She underwent plastic surgery training in Billericay and Leeds/Bradford before undertaking an overseas fellowship in Louisville, Kentucky. Having previously served as Chair of the SAC Plastic Surgery, Professor Lees has been an active member of the Councils of BAPRAS, BSSH and BAAPS. She has also acted as Examiner for the Intercollegiate Specialty examination in Plastic Surgery. Professor Lees is President British Society for Surgery of the Hand for 2014/15. She has particular interests in the development of educational programmes and led the development of the Postgraduate Diploma in Hand Surgery and the rewriting and reconfiguration of the Plastic Surgery Curriculum in its current modular format. Duties on College Council include Academic & Research Committee, Patient Safety Committee and International Committee. She is particularly concerned with issues of access to surgical careers of the UK in the face of rising costs of training. Recreations include hill walking, PPL, history and pottery. Fiona Myint is a consultant vascular and general surgeon at the Royal Free Hospital. She trained at Guy's Hospital Medical School, intercalating a BSc(Hons) in anatomy and qualifying in 1987. She undertook postgraduate surgical training in London having been awarded the FRCS in 1992. She was appointed as a consultant in 2000, initially as a joint appointment between the North Middlesex University Hospital and the Royal Free. Holding an MA in clinical education, she has a keen interest in the acquisition and maintenance of surgical skills. She has held roles including those of College Tutor, Core Surgical Training Committee Chair, Training Programme Director, SAC member and Member of the Court of Examiners. She was elected to Council in 2014. Shafi Ahmed was born in Sylhet, Bangladesh and came to the UK in 1973. He qualified from Kings College Hospital in 1993 and trained in Laparoscopic and Colorectal surgery in London. He completed his FRCS in 1997 and PhD in 2010 in colorectal cancer. He was appointed as a Consultant to The Royal London and St Bartholomew’s hospitals in 2007. He is the colorectal cancer lead for Barts Health and Director for Surgical Training. His main interests are pelvic cancer, reconstruction, extreme sphincter preservation and minimally invasive surgery. He is a surgical tutor and has been the Training Programme Director for UCLP for core surgical trainees in London. He is the Associate Dean for undergraduate medical students and head of surgery for Barts and the London Medical School and his interests are the use of simulation and developing new technologies to improve surgical training. He was appointed to the council in 2014 and currently serves as its youngest member He sits on the following committees: Education, Dental and Surgical examinations, Opportunities in Surgery, Medical Students. He is an examiner for the MRCS at the college and is an International Convenor. Tim Rockall qualified in Medicine at Guys Hospital London in 1988. He undertook a period of research at The Royal College of Surgeons of England and trained predominantly in the North West Thames region. He was appointed Senior Lecturer at Imperial College London in the department of Surgical Technology and Oncology and Honorary Consultant at St. Mary's Hospital in 2000 and then Consultant Surgeon at The Royal Surrey County Hospital Guildford in 2003. He was appointed Professor of Surgery at Surrey University in 2004. He specialises in laparoscopic gastrointestinal surgery and has a particular interest and expertise in laparoscopic colorectal surgery. He has held the position of Director of the Minimal Access Therapy Unit (mattu) in Guildford since 2003 and also has an active research programme within the fields of minimally invasive surgery, new technology and enhanced recovery after surgery. He is a past President of The Association of Laparoscopic Surgeons of Great Britain and Ireland. Tim Rockall was elected to Council in 2015. David Jones is a Consultant Urological Surgeon at Gloucestershire Hospitals NHS Foundation Trust. He trained at Guy’s Hospital qualifying in 1973 He joined the Royal Air Force as a student and after house jobs and SHO posts at Guy’s Hospital, Farnborough Hospital and Lewisham Hospital he underwent surgical training in a combination of RAF and NHS posts. He saw service in Oman, Cyprus and Germany. He obtained double accreditation in General Surgery (1985) and Urology(1988) and took up his NHS Consultant post in 1990. He has held posts as Regional Training Programme Director, Associate Postgraduate Dean, SAC Member, Regional BAUS Council member and is currently a BAUS Trustee. He was elected to College Council in July 2015. Andrew Swift is consultant ENT surgeon and rhinologist at Aintree University Hospital, Liverpool and honorary Senior Lecturer at the University of Liverpool and Edge Hill University. He qualified from the University of Sheffield in 1977, trained in Bristol and Liverpool and was appointed as consultant in 1989. His main interests include the endonasal repair of CSF leaks and extended sinus surgery. He is an enthusiastic teacher and a previous programme director. He was an examiner for the Intercollegiate Board FRCS-ORL and Chair of the written section until 2014: he is now an examination assessor. He has been president of the British Rhinological Society 2009-12 and the section of Laryngology and Rhinology of the RSM 2011-12. Tim Goodacre qualified from St Thomas’s Hospital in 1978 following a BSc year in Psychology. After training in General Surgery as Registrar at the Brook Hospital, two years in rural Tanzania led to training in Reconstructive Plastic Surgery. Appointed to the Radcliffe Infirmary in 1991, he has seen the department grow from 3 to 21 consultants. His specialist interest has been the management of Cleft Lip and Palate, the Oxford team being one of 9 nationally designated centres for cleft care since 2000. Research and lecturing interests include the psychosocial impact of early behaviour on children with facial disfigurement, foetal MR imaging, and the development of a comprehensive outcome measure for cleft care (Cleft Q). He also conceived of a novel self-inflating tissue expander that is now under commercial development (Oxtex). Alongside clinical interests, he is an enthusiastic teacher within the medical school, and has been Regional Specialty Advisor for postgraduate training, President of BAPRAS, and latterly Chair of Professional Standards for the specialty. He has served on numerous advisory groups for plastic surgery (including the Healing Foundation Cleft Collective), and is a member of the Council and Cases Committee of the Medical Defence Union. He is civilian consultant advisor to the Army, and BAPRAS elected representative on UEMS and the EBOPRAS examination board. He is a senior assessor for the Intercollegiate Board in Plastic Surgery examination. He is a Chair of Interface Uganda charity, a trustee of the Semiliki Trust, and member of Restore scientific advisory committee. Elected by BAPRAS Council to serve on the RCS Council in May 2015. Nicholas Markham qualified from St Bartholomew’s Hospital London in 1977. Following surgical training in Oxford and Cambridge, he gained an MS at The Ludwig Institute of Cancer Research in Cambridge. He was appointed Lecturer in Surgery at the Royal Free Hospital London in 1988. He spent a year as Visiting Lecturer in the Department of Surgery at the Chinese University of Hong Kong in 1989/90, before being appointed Consultant Surgeon at The North Devon District Hospital in 1992. He became heavily involved in surgical education, firstly as Royal College of Surgeons Tutor, then as Programme Director for the South West Higher Surgical Training Programme. In 2006 he was appointed as Head of the South West Peninsula School of Surgery, a post he held until 2011. He was Director of Informatics at the Association of Surgeons of Great Britain and Ireland from 2005 to 2015, and now sits on their Executive Board as an Honorary member. Mr Ian Martin BDS, MBBS(Hons), LLM, FDSRCS, FRCS. Ian Martin is a Consultant Oral and Maxillofacial Surgeon and Hon. Senior Lecturer specialising in Head & Neck Oncology, and Medical Director at City Hospitals Sunderland NHSFT. He qualified in both dentistry and medicine from King’s College, London. A registrar in Merseyside and senior registrar at Queen Victoria Hospital, East Grinstead, appointed to his consultant post in 1993. Ian has held the following appointments: Chairman of SAC(OMFS), Chairman of BAOMS, President, British Association of Head and Neck Oncologists, President of FSSA, President, NEMLS(Medico-Legal), Lead Coordinator/Trustee for NCEPOD, and current President of the European Association for Cranio-Maxillofacial Surgery. Nick Phillips has been a neurosurgeon in Leeds since 1997. He previously trained in molecular biology in London with an interest in neurochemistry. He trained in Medicine in Edinburgh and Surgery in Leeds under the old system. His postgraduate training has been in Melbourne, Pittsburgh, Marseille and Stockholm. In Leeds he was Clinical Director of neurosurgery for seven years and is currently the training program director for neurosurgery in Yorkshire and Humberside. His specialist clinical interests are endoscopic surgery for pituitary tumours and radiosurgery for benign intracranial tumours. He is a council member of the Society of British Neurosurgeons with a special interest in national audit and outcomes. Appointed to Council of the Royal College of Surgeons in 2015 he is proud to represent neurosurgery. He is neurosurgical lead for the GIRFT program. Professor Standfield is a Consultant Vascular Surgeon at Imperial College Healthcare Trust (Hammersmith, St. Mary’s and Charing Cross Hospitals) and has a personal chair as Professor of Vascular Surgery and Surgical Education at Imperial College, London. Nigel’s clinical interests are in all aspects of Vascular Surgery but he has a specialist interest in Congenital Vascular Malformations and Lymphoedema and has presented at National and International meetings as well as publishing extensively. Nigel has always had a major interest in Postgraduate Education and Training and was Course Director of the MSc in Surgical Science at the Royal Postgraduate Medical School, and then at Imperial, for many years and was Director of the very successful SHO rotation based in West London. He also designed and ran the Hammersmith FRCS exam revision course. He has successively been an examiner for the RCS of England in the Primary and Final FRCS, the MRCS and the Intercollegiate FRCS in General Surgery (which he continues currently) and was Chairman of the Board of Examiners from 2010-2013. He is Head of the Postgraduate School of Surgery in London and also has International training and education interests in Egypt, Sudan, Ghana, Nigeria (the rest of West Africa) and India; teaching and examining (including operating) in country and bringing trainees to London for up to two years of hands-on, clinical training. He is active in both translational and educational research, particularly in Simulation and E-Teaching and has presented and published extensively. Helen Fernandes is a highly trained and experienced neurosurgeon who graduated from the University of Newcastle-upon-Tyne. During training she undertook secondments to Great Ormond Street Hospital, London and the Montefiore Hospital, New York and spent two years in research having been awarded the Louis Alexander Research Fellowship from the Royal College of Surgeons and later a Hunterian Professorship. She gained her doctorate of medicine in 2000 and took up her consultant post at Addenbrooke's Hospital in 2002. She has been recognised by the Times Newspaper as one of the Top 50 Surgeons in the UK in 2011, and as one of the Top 100 Children's Doctors in the UK in 2012. Helen is one of three complex spinal surgeons in Addenbrooke’s Hospital and also a member of the British Association of Spinal Surgeons, British Cervical Spine Society and the East Anglian Spinal Society. Helen's other special interest is paediatric neurosurgery, being Lead Paediatric Neurosurgeon at Addenbrooke’s and a proud medical advisor to the Association of Spina Bifida and Hydrocephalus. Helen has recently stepped down as Associate Director of Postgraduate Medical Education in Addenbrooke’s and as Chair of WinS (Women in Surgery). A collaborative research project with the University of Exeter looking into the reasons that women may choose not to do surgery has recently won European funding and this research contributed to Helen's award of the The Greg Wilkins-Barrick Chair visiting international surgeon award by the American Association of Neurosurgeons. Stella Vig is a Consultant Vascular and General Surgeon at Croydon University Hospital. She was born in Bangor, North Wales and trained at the University of Wales College of Medicine, undertaking an intercalated BSc (Hons) in Biochemistry and qualifying in 1991. She undertook research culminating in an MCh at St Georges Hospital, London. She was appointed as a consultant in 2006. Stella has a strong interest in training and encouraging medical students and foundation years to pursue a career in surgery. She is keen to ensure that all trainees, whether male or female, are able to develop a harmonious balance between family and career. She has been the Foundation Program Director at Croydon Univesity Hospital for 10 years and holds many roles including those of Core Surgery and Higher Surgery Training Programme Director, JCST Chair for Core Surgery and General Surgery SAC member. Stella was awarded the NHS Leadership Academy London Mentor of the Year in 2015. She was also named as one of the Women of the Year. She is one of three Clinical Directors for Croydon and is keen to see efficiency and excellence in patient care within the NHS. She is passionate about foot problems in patients with renal and diabetic disease and won the BMJ Leadership Award in 2010. She Co-Chairs the London Diabetic Foot Network within the Diabetes Strategic Clinical Network and is a trustee for the College of Chiropodists and Podiatrists. She was elected to Council in 2016. Tim Mitchell studied medicine at Brasenose College, Oxford before training in Otolaryngology in Oxford, London, Cambridge and Sydney. He was appointed Consultant Otolaryngologist in Southampton in 2000 and has a subspecialty interest in cochlear and other auditory implants with the University of Southampton Auditory Implant Service. He is a RCS Regional Specialty Professional Advisor, member of Council of ENT UK, vice chair of the Clinical Reference Group for Specialised Ear Services and a member of the Specialist Advisory Committee in Otolaryngology. He has been a MRCS examiner since 2004 and took up office as Chairman of the Court of Examiners in July 2014. Professor Farah Bhatti is a Consultant Cardiothoracic Surgeon at Morriston Hospital, Swansea and the Equality and Diversity Director and Careers Lead for Graduate Entry Medicine at Swansea University Medical School. She read Medicine at Somerville College, Oxford and completed her clinical training at Jesus College, Cambridge. She trained at a number of prestigious units including The Royal Brompton and Harefield Hospitals, and has an MD in Transplantation from Cambridge. She is passionate about teaching, training and equality. She is an Examiner for the FRCS(CTh) and Chair of the Women in Surgery Forum at the Royal College of Surgeons of England. I have been a consultant paediatric surgeon and BAPS Council member for over 20 years and have endeavoured to make a contribution not only towards the care of children, but also towards the excellence and development of the Profession. My wife is a GP partner in Putney. We have 4 children at university and an old yellow Labrador who needs two walks a day. For over 4 years, I was training/education lead and STC representative at St George’s Hospital. I was lead clinician for almost 6 years and was chairman of the SGH Children’s Surgery Group for over 7 years. I remain a full time paediatric surgeon at St George’s Hospital and also operate at the Royal Marsden and Royal Surrey County Hospitals. I have represented BAPS on the Children’s Committee of the BMA and on the Intercollegiate Specialty Exam Board for almost 5 years. I have been an examiner and most recently, have been privileged to have been the Chairman of the ISB. During my time as Chairman I sat on the JCIE and I also attended the SAC meetings. The role of Specialty Representative to the Royal College of Surgeons of England is a significant one and I welcome the opportunity to continue representing BAPS in a communicative and insightful manner. Alan Horgan graduated from University College Cork in 1988. Following Basic Surgical Training, he completed his MD in Surgical Immunology at Harvard Medical School. Higher Surgical Training was undertaken in the West of Scotland following which he spent a year as Clinical Fellow in Colorectal Surgery at The Mayo Clinic, Rochester, USA. He was appointed as Consultant Colorectal Surgeon at Freeman Hospital in Newcastle in 1999. He has since co-founded and is Director of the Newcastle Surgical Training Centre and the Newcastle Translational Research Unit. He has concentrated his clinical and research efforts on laparoscopic colorectal surgery and enhancing recovery after colorectal surgery and in 2009 was appointed National Clinical Lead for the Dept. of Health’s Enhanced Recovery Partnership Programme. Throughout his career, he has had close links with RCS England Education and in January 2017 was appointed Professor of Surgical Education at the College. Tim Lane is a Consultant Urologist and Robotic Surgeon. He is Chair of the Court of Examiners and Editor-in-Chief of the Annals of the Royal College of Surgeons. His clinical interests focus largely on prostate cancer and robotic prostatectomy. Tim Lane has undertaken research which focusses on the genetics of urological malignancy. His success in this field has been recognised by the award of the Bard Medal (from the British Association of Urological Surgeons) The Urological Research Society Medal of Great Britain and Northern Ireland and the Sir Geoffrey Chisholm Prize (Royal Society of Medicine). He has also been awarded the International C.E Alken Medal for his work on chromosomal translocations and fusion genes. He is a joint royal college representative on the Urology SAC and is National Curriculum Lead for Urology. Matthew Brown is an orthopaedic specialist registrar on the Royal National Orthopaedic Hospital training rotation in London. He graduated from Guy's, King's College & St Thomas' Hospitals School of Medicine in 2007 and has trained in hospitals throughout the southeast of England and for a period in Western Australia. In 2012 Matthew was elected to the pan-speciality Trainees Committee of the Royal Society of Medicine (RSM) and he served as the section President in 2015/16. He developed educational and professional events for both surgical and non-surgical trainees whilst on the committee. He brought his experience to the British Orthopaedic Trainees Association (BOTA) when he was elected as the Education Representative in 2016. He delivered the flagship BOTA Educational Congress for 300 fellow orthopaedic trainees in 2017 and has represented trainees at numerous national committees, including the Joint Committee for Surgical Training (JCST). Matthew was elected President of BOTA in 2018 and subsequently sits on the Councils of the Royal College of Surgeons and the British Orthopaedic Association (BOA). His primary surgical interest is surgery of the hand and wrist. Gemma has been elected ASiT President following a 2-year tenure as ASiT Honorary Secretary and prior to that, ASiT Eastern Regional Representative. Gemma graduated from the University of Liverpool in 2007, and the University of Birmingham in 2012. Gemma is a General Surgery Specialist Trainee in KSS, following training in both the East of England and Mersey. Gemma will move OOP to undertake a PhD at UCL in Surgical Technology later in 2018. Ros Levenson has been a member of the Royal College of Surgeons Patient and Lay Group (PLG) since February 2016 and has chaired the PLG since July 2016. Ros has been involved in health policy and health issues for many years In her ‘day job’ Ros is an independent researcher and policy consultant. She has worked on health and social care topics for a range of statutory and voluntary organisations, and has published widely in these areas, particularly on patient experience, patient and public involvement, medical professionalism, old age, age discrimination and long-term conditions.